Hello everyone, I have many shows coming up and I am very excited to show my new creations. Check in the coming show for update. 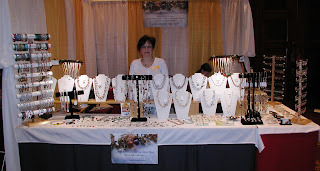 My last show was at the Hilton Casino Lac-leamy in Gatineau for Le Salon de la Femme en Outaouais. What a great place to have a show with a wonderful organizator Daniel Cardinal. Looking for next year show. You can see me in Montreal for the national women's show at the Palais des congres April 5-6-7 booth 1010 and in Ottawa National women's show at the Convention Centre April 13-14 booth 412.